1. In a bowl mix together the marinade ingredients & add the prawns. Make sure prawns are thoroughly covered in the marinade. Cover the bowl & marinade at room temperature for 60 minutes. 2. Thread the prawns onto pre-soaked bamboo skewers or metal skewers. 3. 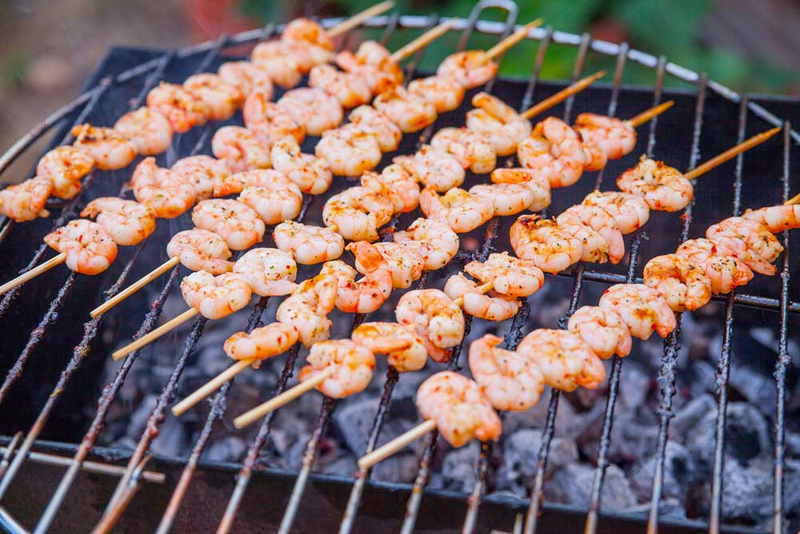 On a hot barbecue, or a non-stick griddle pan, or under an oven grill, cook prawns for 2 minutes in total. Turning once during the cooking time. 4. Serve on the skewer accompanied with a fresh green salad.